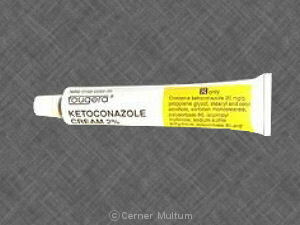 You should not use ketoconazole topical if you are allergic to it. Stop using ketoconazole topical and call your doctor if you have severe burning, irritation, redness, pain, or oozing where the medicine is applied. Ketoconazole topical gel is flammable. Do not use it while you are smoking or near an open flame. FDA pregnancy category C. It is not known whether ketoconazole topical will harm an unborn baby. Tell your doctor if you are pregnant or plan to become pregnant while using this medication. It is not known whether ketoconazole topical passes into breast milk or if it could harm a nursing baby. Do not use this medication without telling your doctor if you are breast-feeding a baby. You should not breast-feed if you have applied ketoconazole topical to your breast area. 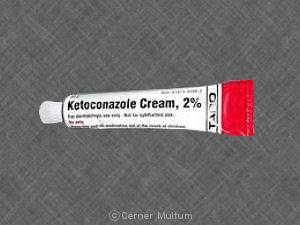 Do not use ketoconazole topical to treat any skin condition that has not been checked by your doctor. 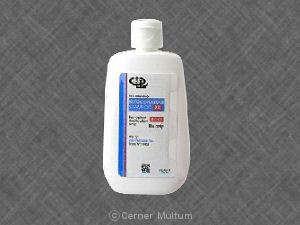 Wait at least 20 minutes after applying this medicine before you use cosmetics or sunscreen on the treated skin area. Do not wash the treated skin for at least 3 hours after applying ketoconazole topical. Use the shampoo twice per week, unless your doctor has told you otherwise. Apply enough shampoo to create a lather and massage the scalp for 1 minute. Rinse thoroughly and repeat, leaving the lather on for an additional 3 minutes. Then rinse it off completely. Allow at least 3 days to pass between uses of ketoconazole shampoo. Ketoconazole topical gel is flammable. Avoid using near open flame, and do not smoke until the gel has completely dried on your skin. Avoid using other skin or hair products that can cause irritation, such as harsh soaps or shampoos or skin cleansers, hair coloring or permanent chemicals, hair removers or waxes, or skin products with alcohol, spices, astringents, or lime. Do not use other medicated skin products unless your doctor has told you to. There may be other drugs that can affect ketoconazole topical. Tell your doctor about all the prescription and over-the-counter medications you use. This includes vitamins, minerals, herbal products, and drugs prescribed by other doctors. Do not start using a new medication without telling your doctor. Copyright 1996-2017 Cerner Multum, Inc. Version: 3.01. Revision date: 9/6/2012.